I am a member of the Collective Bias® Social Fabric® Community. This shop has been compensated as part of a social shopper insights study for Collective Bias and their client. Any opinions are 100% my own and these Quick Chicken Dinner and Snack Ideas are my own as well. When the kids get out of school for the summer, I hear DJ Jazzy Jeff & The Fresh Prince singing “Summertime” in my head. Then I quickly remember that I don’t get to jump on my Dream Girl Bike and hit the streets for the next few months. Nope. Not I said the busy with mom with two extra kids home for the next few months. That means extra mouths to feed and a busy schedule of dance classes, basketball camp, summer exploration, and whatever else finds itself penciled in on the calendar. Thankfully I have come up with a Quick Chicken Dinner and Chicken Snack Ideas to get me through. I want meals that pretty much make themselves and being portable is a plus. I headed out to Sam’s Club the other day to check out their chicken for the chicken recipes I had in my head. Also, to get out of the house for a bit. I have accepted the fact that 80% of my adult time out of the house is spent at the grocery store, or a store of some sort. Don’t get me wrong, I love food, but I could use a plate of food not cooked by me, with a side of Moscato…..couldn’t we all?! You can check out my Sam’s Club Shopping Trip Google+ Album to see all the fun I had and there is even wine! If you are finding your schedule full and your clock out of time, throw together a quick chicken snack, like a Tyson Homestyle Chicken Fries and Bacon Wrap, for the kids and hubby. Then, call your lady friends and meet somewhere and order that Moscato! I whipped these up the other day when we were busy getting ready for Tween Girl’s Dance recital. I didn’t have time form much between hair, makeup, and attitude. She and I were both smiling once we took a bit. 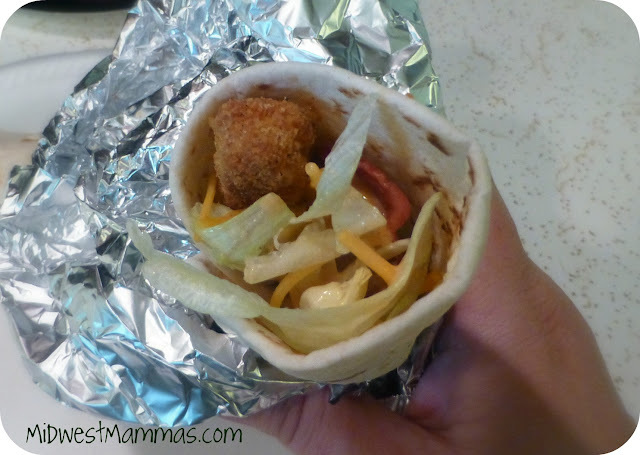 We both loved them and I think they are better than drive thru snack wraps! Quick and easy meals for dinner are another must when there is a basketball camp, dance class, or other extra curricular activity going on. Meals that are big on flavor but don’t take all day to bake. Whip up a Quick Chicken Dinner with Tyson Homestyle Chicken Fries. 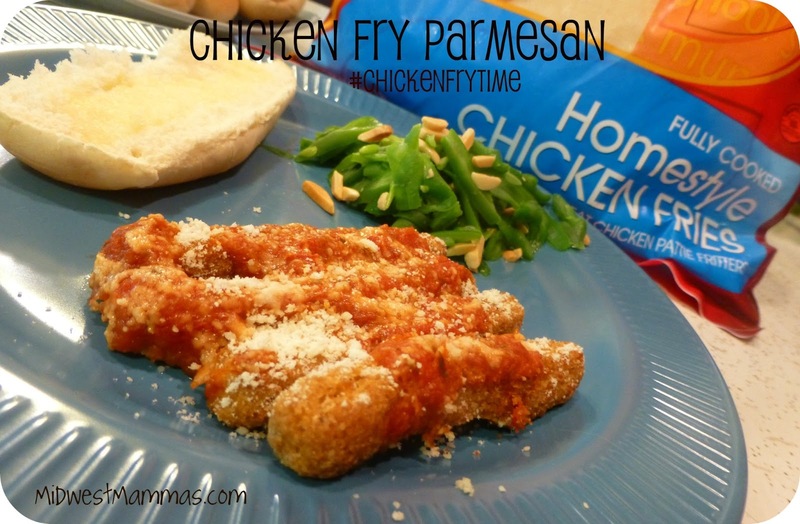 They were perfect for my version of Chicken Parmesan. I call it my version because I used some pasta sauce from the cupboard and a giant can of Parmesan Cheese that I picked up at Sam’s Club. I was honestly surprised with how delicious this turned out! 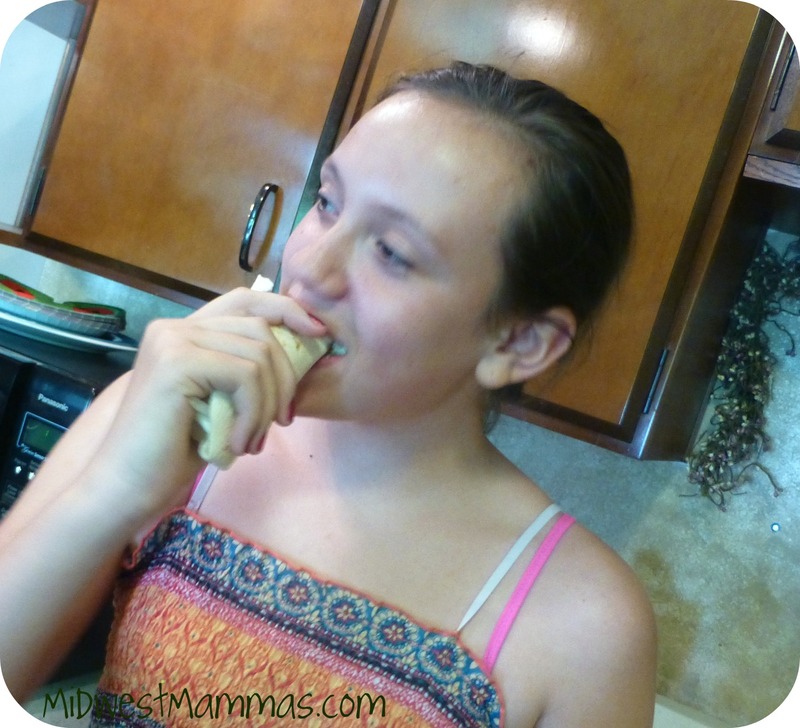 Hubby, Tween Girl, and I all gobbled it up! I should have made more but it’s so easy I can make it any night! 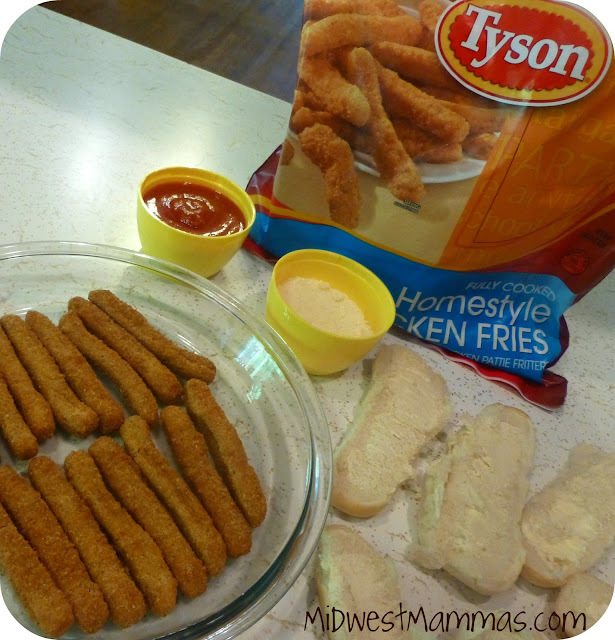 If you are looking for more quick chicken dinner and chicken snack ideas, head over to Tyson.com and look around. You can also follow Tyson on Twitter and Like Tyson on Facebook where you will soon be able to enter to win ticket to Six Flags! You're so right about the grocery store. I've only been away from my four month old three times and each time it was a quick trip to buy food. Glad y'all liked the chicken! !